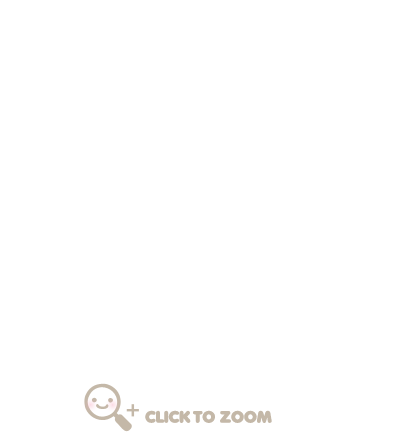 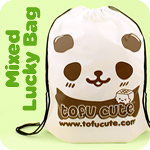 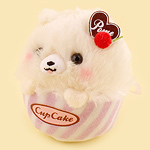 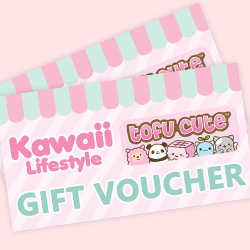 Product code: 35KO271 • Adorable Pomeranian pup plush keychains sitting in cupcakes! 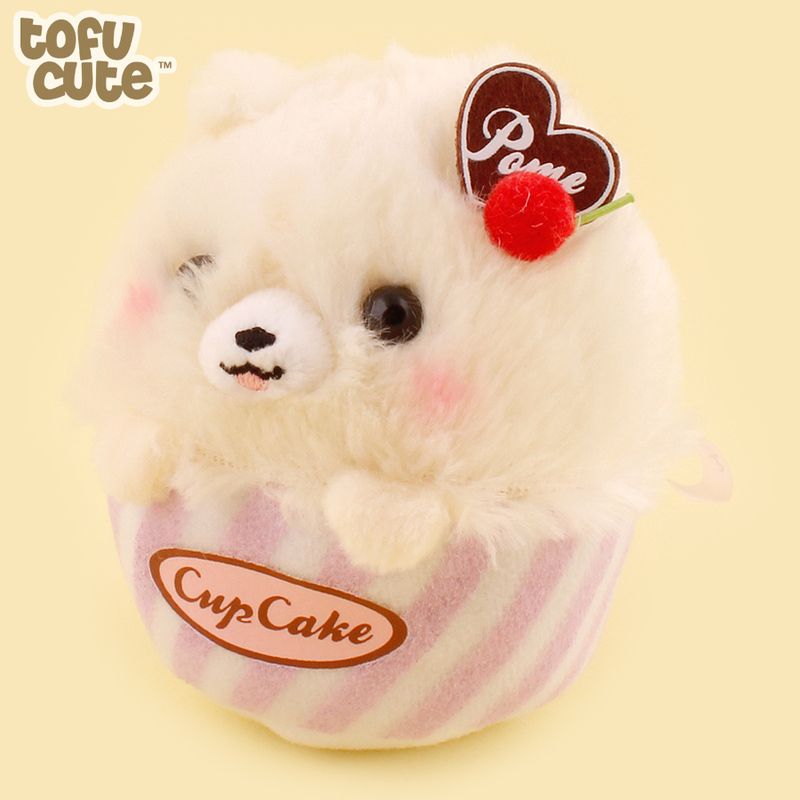 Adorable Pomeranian pup plush keychains sitting in cupcakes! 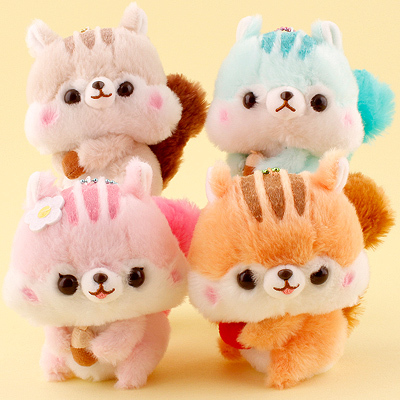 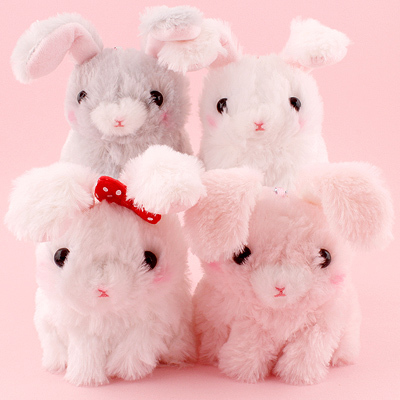 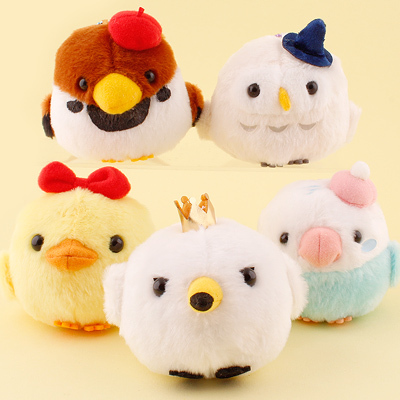 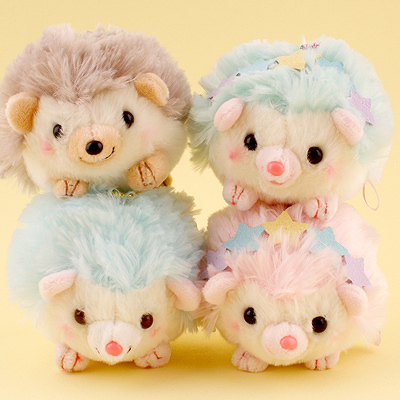 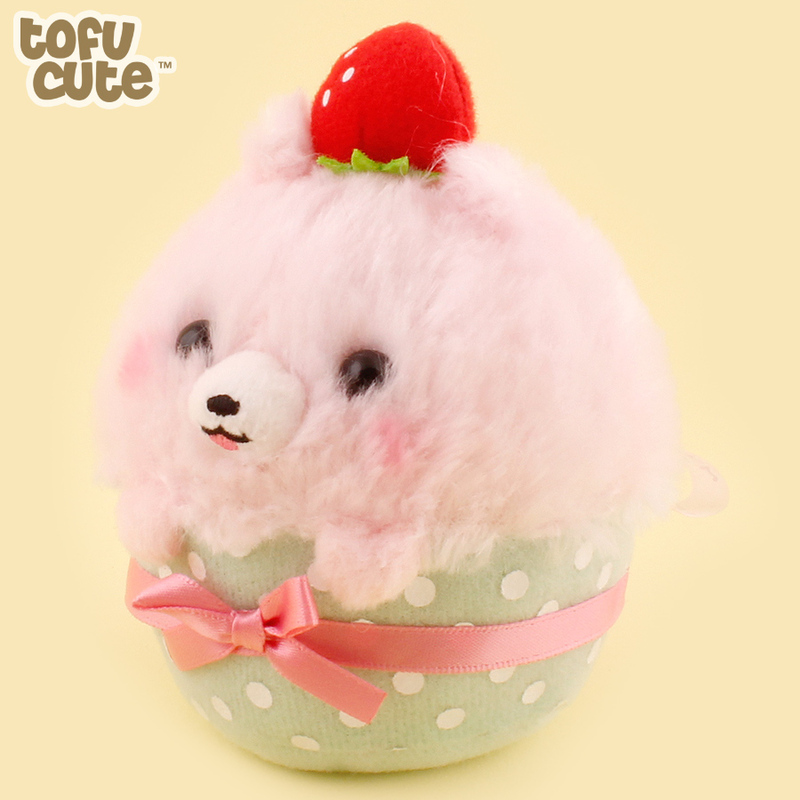 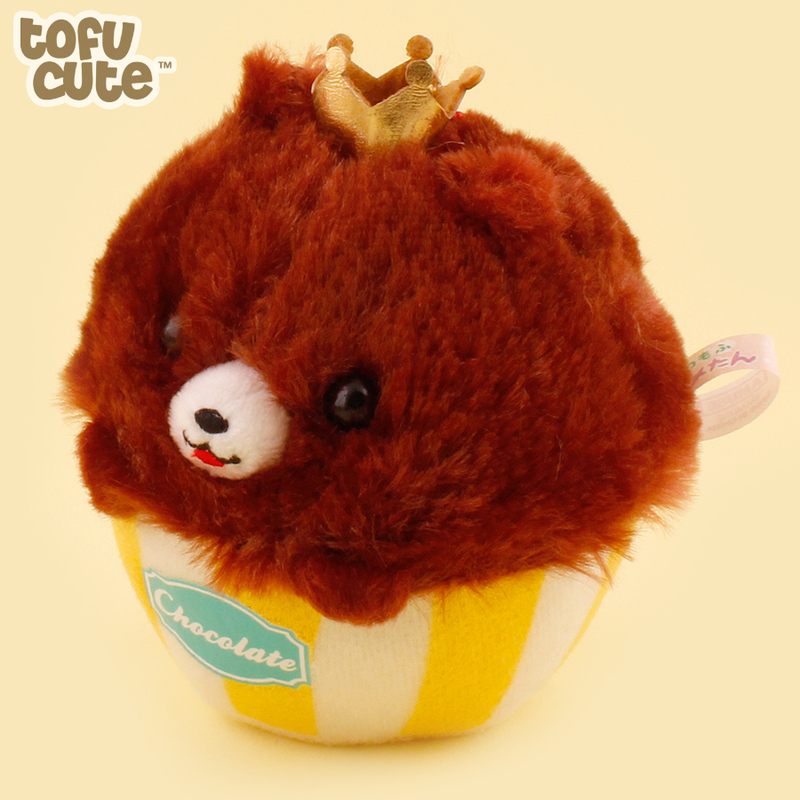 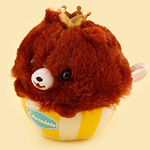 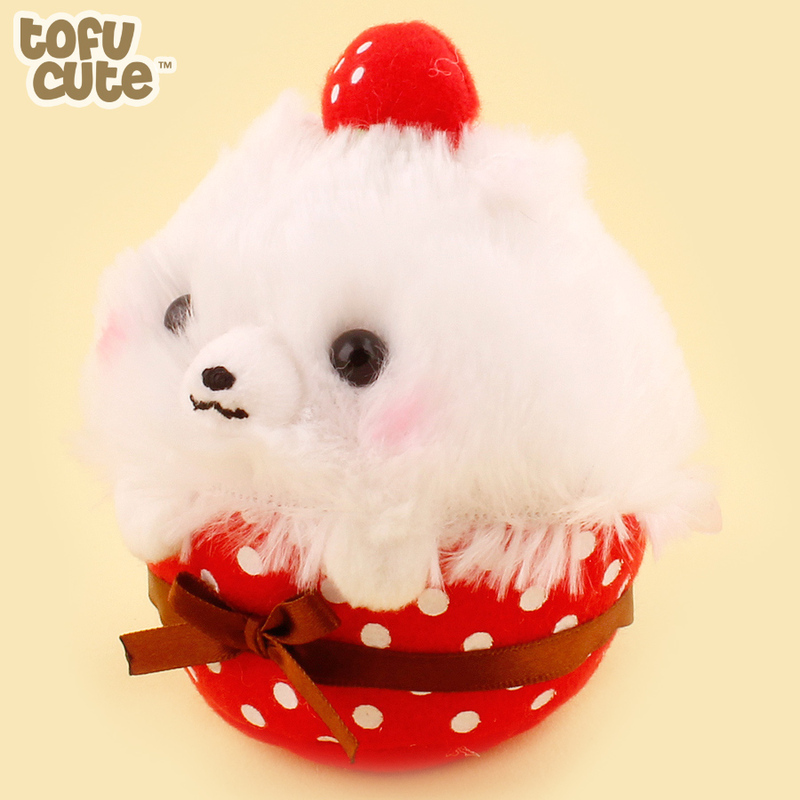 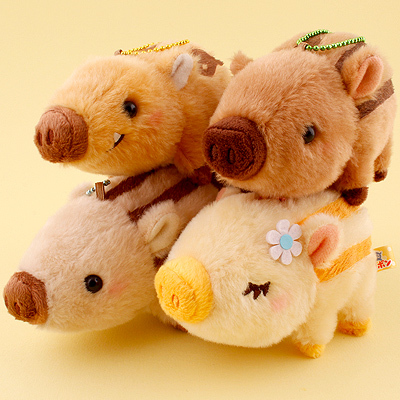 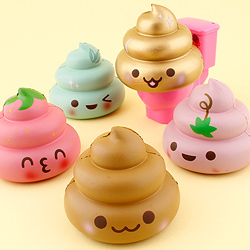 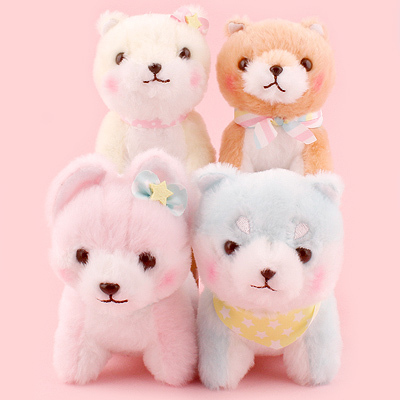 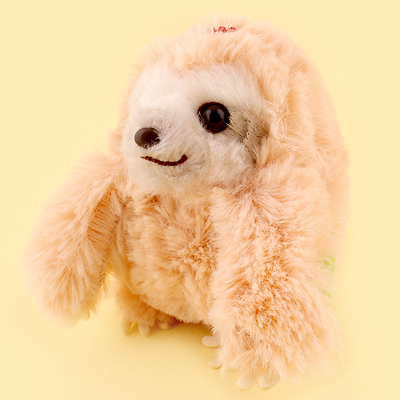 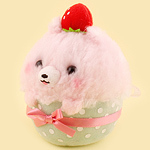 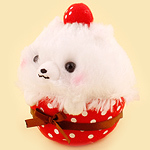 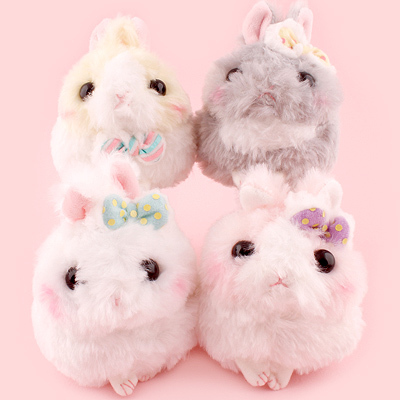 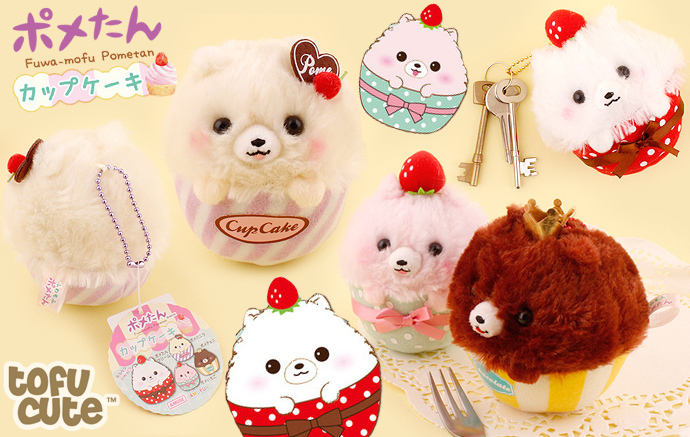 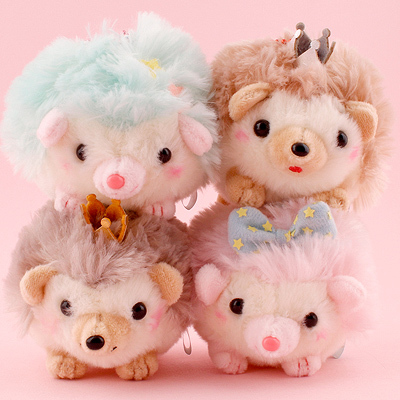 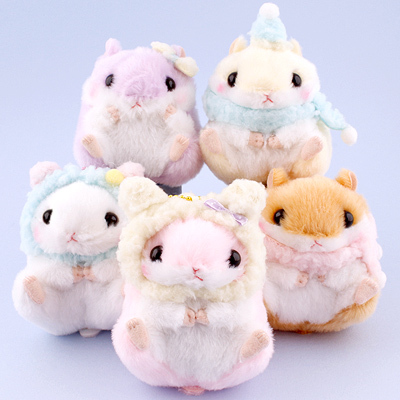 These Fuwa Mofu Pometan Cupcakes are the perfect plush pals for fans of Poms, Cupcakes or both, as this adorable new Pometan series from the AMUSE company combines the two in these sweet plush. 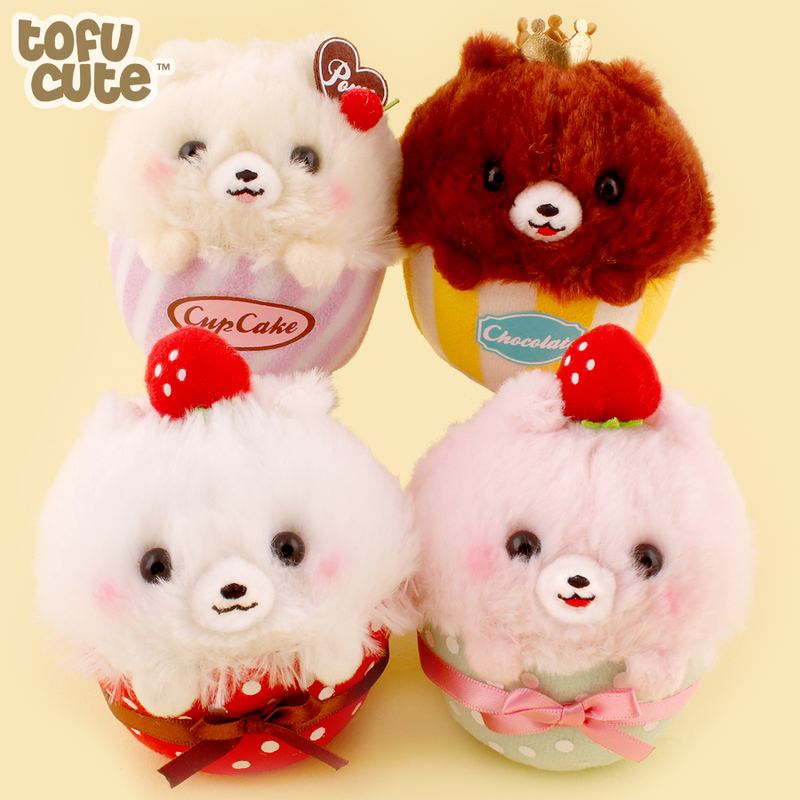 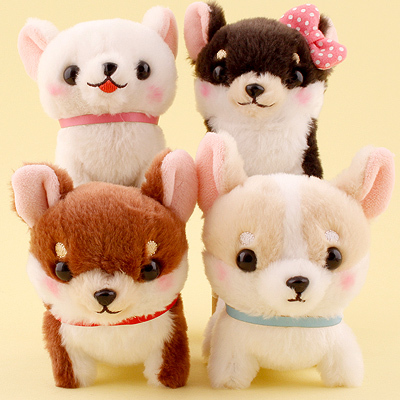 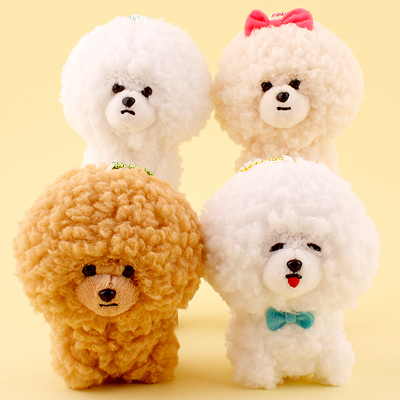 These plushies feature four unique Pomeranian dogs sitting in different coloured cupcake cups with a variety of different of accessories & 'toppings' on their heads, including a Vanilla White Pom with a strawberry on his head, a Lemon Yellow Pom with a berry and a chocolate heart on his head, a Strawberry Pink Pom with a strawberry on his head, and a Chocolate Brown pom with a crown on his head. 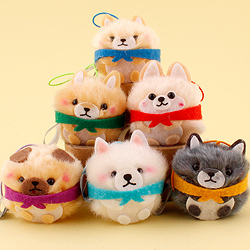 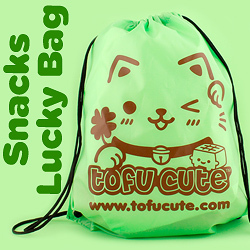 Each pom is super fluffly, and they can be attached to your bag using the provided ballchain so that you can show off your love of fluffy dogs or cupcakes everywhere you go!